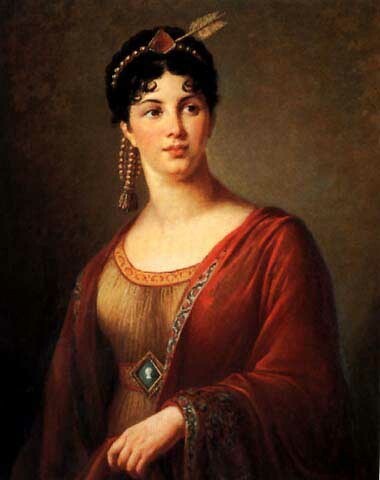 opera singer Mme Giuseppina Grassini (1773-1850). 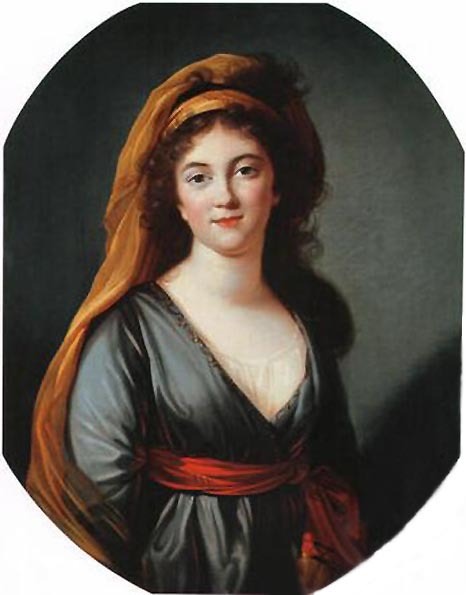 Vigee Le Brun painted Mme Grassini three times in London in 1804 (3 Mme Grassini; two in oriental costume, one large the other small, and another half-length) and three upon returning to Paris (3 Portraits of Mme Grassini; one to the knee, the third with one hand showing). This is believed to be the Paris "one hand showing" portrait. 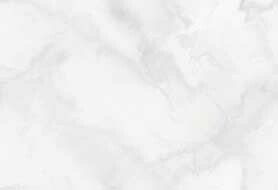 One of the London paintings is included at this site. 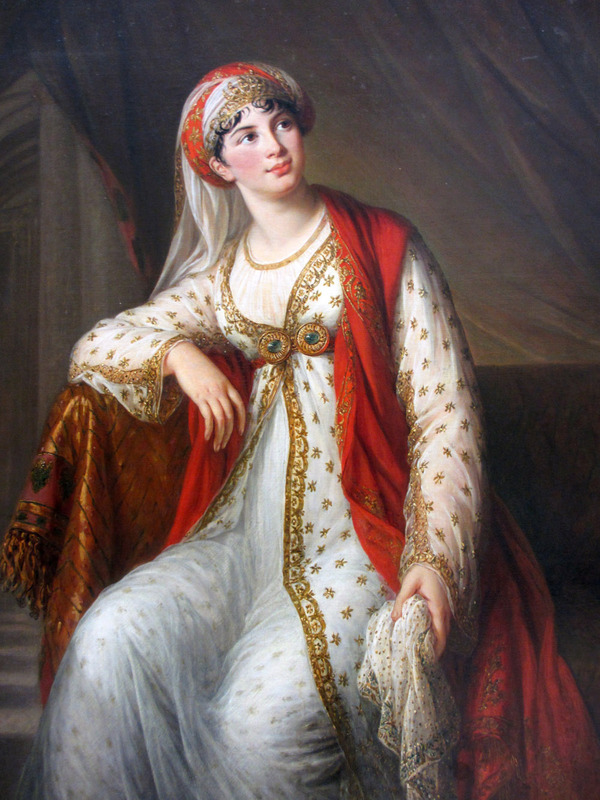 Giuseppina Grassini - 1805 in the role of Zaire on art page 43. Grassini was famed both for her incredible voice as well as her dramatic abilities. 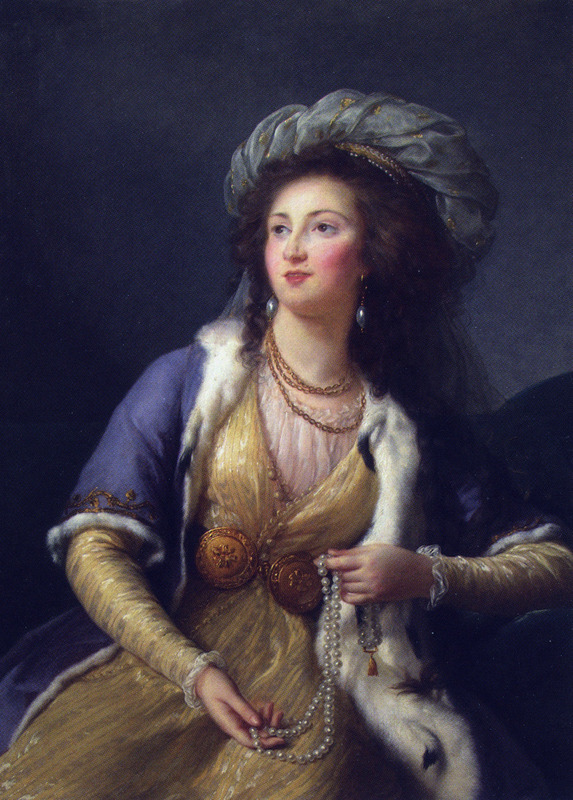 She later came to France and became mistress to Napoleon (whose very profile decorates the cameo set into the sitter's belt in this composition). This painting was included in the Sotheby's May 21, 1998 auction. Comtesse Stanislas marie Adélaide de Clermont-Tonnerre, née Louise Josephine Marie Delphine de Rosiéres de Sorans, later Marquise de Talaru, in a Sultan's Costume. Exhibited in 1785 at the Salon de l'AcadèmieRoyale.